Come on down to Dogpatch USA! 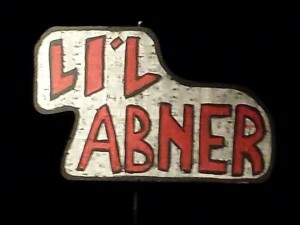 This fall, Sara is returning to the SFArtsED Players for the 2013-2014 season, culminating in a production of Li’l Abner (Music by: Gene de Paul; Book by: Norman Panama, Melvin Frank; Lyrics by: Johnny Mercer) in the spring. Sara will be portraying Alfia Scragg, a cousin of the lead Daisy Mae. Founded in 2001, The Players consists of nine- to fifteen-year-old public school students who train and rehearse with musical theatre professionals. Once again, Sara will be working with Danny Duncan, Sean Forte, Natalie Greene, and Erin Hewitt, and, of course, SFArtsED Artistic Director Emily Keeler. Earlier this year, Sara was a part of the Players’ production of Bells Are Ringing (Music by: Jule Styne; Book by: Betty Comden, Adolph Green; Lyrics by: Betty Comden, Adolph Green), her first show with the group since being invited to join in 2012. Sara had previously taken part in the SFArtsEd Summer Explorations Program from 2010 through 2012.